Guest Post Outreach: Sell it! Two of Distilled's recent guest post outreach campaigns generated some interesting results. The first was for a client in the medical world and the other was for a company operating in the finance industry. Both are challenging arenas to secure guest posting opportunities, but we managed to achieve a success rate of 28% and 31% respectively (percentage of total email recipients who accepted a proposed guest post). Shaping the outreach activities with a sales perspective played a significant part in ensuring these results.So hands up if you think you're in sales. No? Let me rephrase that: Are you involved with any kind of outreach work e.g. blog guest post outreach? Yes? 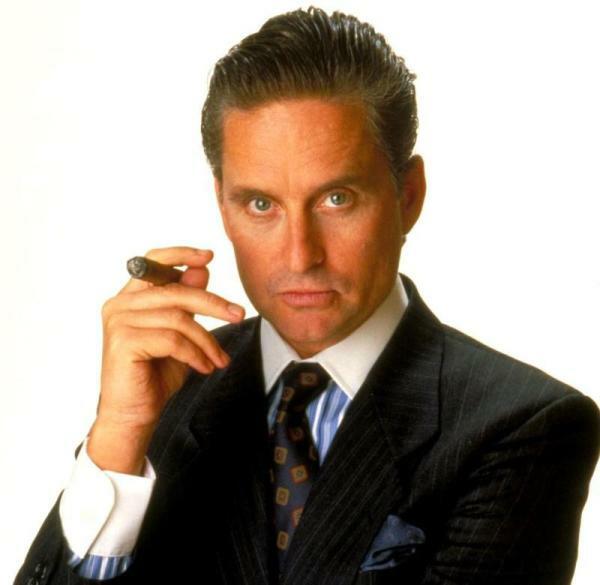 Well, guess what... ok, ok so I'm not accusing you of being a Gordon Gekko disciple or a shady used car salesman, but if we're talking about gaining engagement from someone who without prompting would NOT engage, then you're essentially 'selling' - you're attempting to compel someone to complete an action of your choosing. Using the specific example of guest post outreach; you want A.N.Other to accept your guest post and give you or your client one or two followed permanent links. De-constructing this goal and considering the process behind achieving it is helpful from a task-planning point of view, but being mindful of the fact you are 'selling' something when mapping your outreach process can help focus and optimise your efforts. So let's have a look at a basic guest post outreach process, align it with some sales orientated ideas and see if we can't create a powerful way of approaching outreach to increase response and uptake. 1. Prospecting and pre qualification: Shortlisting relevant blogs to target. Prequalify your target market and create a product you know they will want. In other words, look at what's being talked about in your blogosphere and inform your article title suggestions with that research. Your article titles are the products you are trying to sell, so make sure there is an appropriate appetite/demand for them. The specific prospects you are looking for are relevant bloggers who have accepted guest posts previously. In other words, you are tapping into an existing demand; you are not asking for a huge shift in behaviour, just that the blogger in question widens their product (article) supply network to include you. Quality and relevance trump quantity so, as mentioned, short-list a small number of super relevant blogs who accept guest posts (fifteen to twenty five for example) and spend the time personalising the email you send them. Highly relevant and personalised communication is the key to a high response rate. 2. Engagement and Acquisition: Opening a communication channel to your short-listed prospects with a pre qualified pitch; gaining buy-in and using effective objection handling* to take the process through to 'acquisition'. This is your emailed article pitch (engagement) to your short list of bloggers. Their acceptance of your guest post is their acquisition of your 'product'. Ideally I like to present three titles (product concepts) to bloggers I want to guest post for: Two safe, 'seen it before' types e.g. 'Top 5 this that and the other', 'All you need to know about yadda yadda'; then a more unique title to discuss a given topic in a fresh new way, possibly challenging existing thinking etc. Essentially I am trying to cater to two audience types; the first is risk averse and wants tried and tested; the second is risk prone and may want to differentiate their blog accordingly. Capture both with a selection of pre-qualified titles, wrapped in a personalised engagement email to maximise potential uptake. Content you give out as guest posts needs to be unique (more often than not) so you will need to come up with a list of about twelve titles; eight of the former variety and four of the latter, in order to differentiate the groups of three you will be sending out. Giving three titles also shows you have thought the process through and will help with buy-in. Plus, oddly, there seems to be something alluring about seeing things in threes. Quote the target website somewhere in the body of the email. 3.Maintain Contact for repeat custom. Once you have achieved buy-in and managed to guest post, keep the relationship warm so as to make the job easier next time. *Objection handling. Receiving an objection to your proposal is an excuse to contact the prospect/blogger again. This time there is something solid and personal to base the conversation on i.e. their issues. Open the dialogue along this line and continue the conversation. Listen to the issues and adapt your proposal accordingly. Even if the answer is going to be a 'no', always try and close them on the conditions of acceptance, particularly for next time. Think long-term, that way you will know when you can sell to them, instead of just striking a prospect off your list. In addition, you will have achieved a degree of buy-in: 'I know when we last spoke you didn't want to go ahead with 'x' but you would be interested in 'Y'. My client is doing 'Y' so let's talk'. If done correctly, an objection is an opportunity to impress and gain buy-in. The realisation that there is more to securing a guest post than spraying and praying; that you are in fact attempting to persuade someone to do something for you, should help mould your approach to outreach.